Andean cats may look like typical house cats at first glance ... until you notice their extra-long tails. Let's learn more about these fascinating wild cats! Molle and Diaguita are two of the rarest wildcats on earth, but thanks to trail cams high in the Andes mountains, researchers are learning more about the behavior and even sounds of the small, reclusive Andean Cats (Leopardus jacobita) and sharing videos of them on Twitter, Instagram and Facebook. At 8 to 10 pounds, Andean Cats weigh little more than the typical housecat, and they’re seemingly all tail — at 16 to 19 inches in length, it makes up approximately 70 percent of the body length. Andean cats wear a thick, plush coat of silver-gray with a pale belly covered in dark spots, dark gray bars across the chest and forelegs, and darker, narrower splotches or stripes on the legs. The tail has long, thick fur all the way around, dark banding and a black tip. Young Andean Cats have lighter colored fur and may be confused with Pampas Cats (L. colocolo). Where do you find Andean Cats? Preferring rocky habitats high above the timberline, they’re found in Argentina (including the northern Patagonia steppe), Bolivia, Chile and Peru. The Andean Cat Alliance, a network of researchers, estimate that fewer than 1,400 of the cats remain throughout their range, threatened by habitat destruction and hunting. 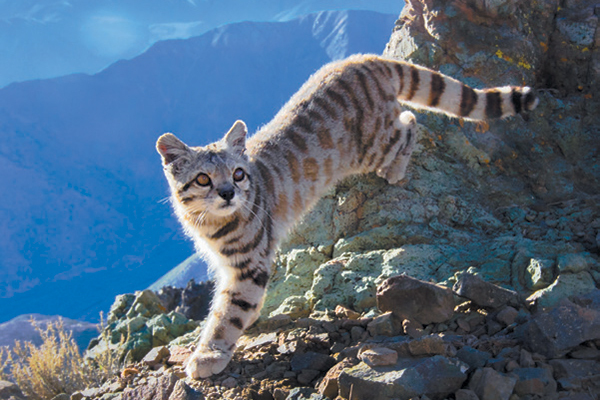 The Andean Cat Alliance has spent nearly 20 years raising awareness about the cats in the communities where they are found and developing conservation strategies. To learn more about Molle and Diaguita and other Andean cats, visit: Twitter: @AndeanCats; Instagram: @AndeanCats; Facebook: @AndeanCats. 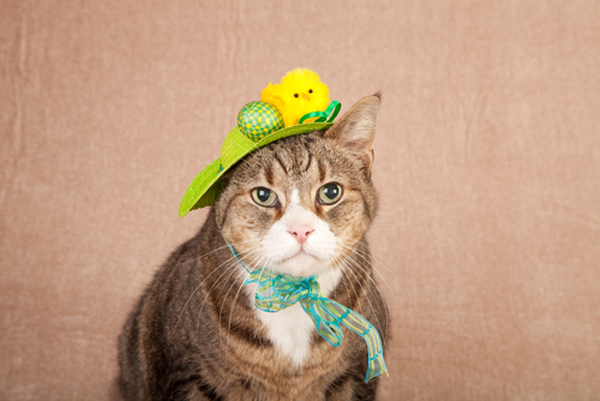 Kim Campbell Thornton has been writing about cats and dogs for 32 years. She is the award-winning author of more than two dozen books and hundreds of articles on pet care, health and behavior. Thumbnail: Photography Courtesy Christian Sepulveda; Mitigation Conflict Program/Andean Cat Alliance.